We run regular courses, events and training sessions to give you the opportunity to become a well rounded combat performer. Fight night runs every month! This is a 4 hour practice session is for combatants and performers with previous experience. So whether you want to work on your sparring technique or focus on specific aspects of fight choreography, you'll have a group of like-minded people to practice with! Free to our members or £3.00 per hour, per person on the door or £10 for the full 4hr session. So you can come along for as long as you want. Feel free to bring any combat safe weapons you have, also bring stunt pads and fencing masks etc if you own them. Wear sensible sports kit and sports shoes - no steelies! Keep an eye on the Facebook page for upcoming dates! Are you aged between 12 & 17? Think you’ve got what it takes to spend a day in training in the arena with our gladiators? Why not come along, test yourself and earn the mark! Please note our standard t&c’s apply. Following the success of our adult challenges, we’ve decided to give the kids a chance! A 1 hour mini challenge, for mini gladiators. Includes certificate. Can you survive a day in the ludus!? Challenge yourself, or why not set-up a www.justgiving.com page for your favourite charity and get sponsored to try and conquer this ordeal! You will be put through your paces and trained as a gladiator for a full day under the watchful eye of Doctore... are you tough enough? Our intensive weekend training course in Dramatic Combat. During the weekend you will learn skills and performance techniques allowing you to push your dramatic violence to the next level! Do you want to improve your stage and screen combat skills? Have you always wanted to learn dramatic combat? Come and train with a company that provide professional displays for tourist attractions, museums and events throughout the country. Over the 2 days of the course you will learn to use a range of weapon-sets, as well as learning unarmed combat techniques. After the course you will receive a certificate from the company, detailing the range and level of the skill that you achieved over the weekend. Once you have completed this course you will be invited to attend other training and practice sessions with us. You will also be notified of opportunities for roles in our shows and events. The cost of the workshop includes an exclusive T-Shirt, your certificate and refreshments throughout weekend. Both days are from 09:00 - 18:00 with a 30min lunch break. Please note: This course is open to participants aged 18 or over. Be The Best Performer You Can Be! Domina is opening the ludus for a one night only party! Bring your own drinks… and if you don’t want to pour them yourself, you can bid for someone to do it for you in our real life Gladiator Auction (all proceeds going to the museum). After the lady herself opens the evening, we let you get settled with some snacks and then give you a chance to “purchase” your own gladiator for the night, you will be entertained with a traditional storytelling performance as well as having the chance to look around this historic site after dark. £8 per person, suitable for adults only. Membership doesn't just get you money off our courses! It also entitles you to exclusive, member only discounts on training equipment and gear. Attend our monthly practice sessions at no additional costs! online archive of videos to help with your training and performance. "Special Skills" days included as part of the membership fee - from tumbling workshops to military tactics training days. 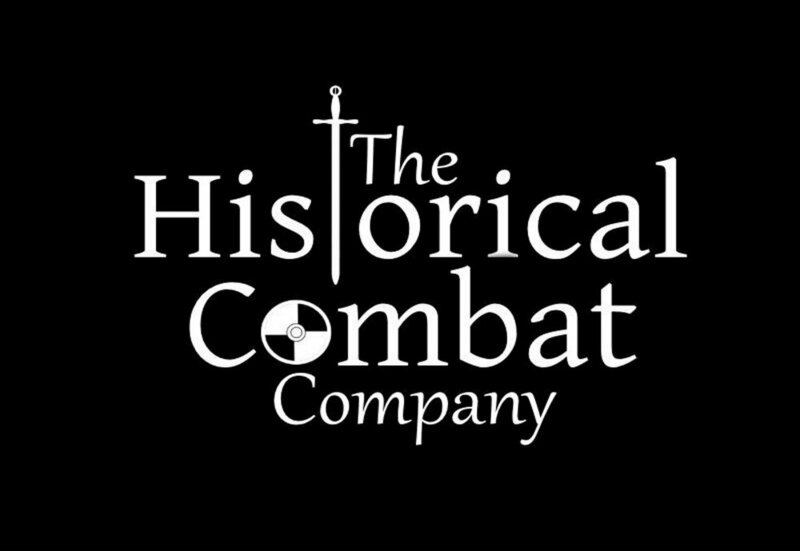 The Historical Combat Company relies on it's members to help us provide the very best performance in everything we do.